When it comes to detailing a car, the only thing that most people think of is what you can see. Unfortunately, next to the paint on your car, the engine is the most expensive part. The trouble is that most people believe that if you send your car in for servicing from time to time, that's all the attention that your car needs. It's not. Worse yet, for as long as you have owned your car, and as many miles as you have driven, do you know what your engine looks like? Now, be prepared for how well your car can run after you have it cleaned and it runs better than it ever has. 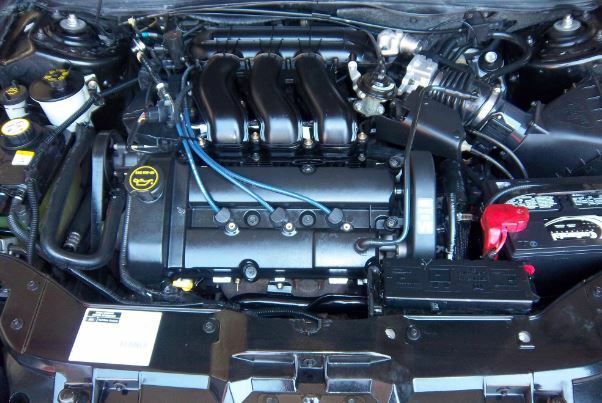 When you have your car detailed by Elkhart Auto Detailing for engine detailing in Elkhart, Indiana the work begins by covering all the parts of your engine that should not be gotten wet. These includes gauges, electrical connections, filters,the alternator, and air intakes. We protect these parts by covering them with protective shields. Next, we use a variety of engine detailing products, most notably degreasers, to clean your engine, first around the perimeter of your engine's block, then the firewall. The remainder of the engine needs to be cleaned, but this is usually done best with degreaser and a good rub down. This is how to clean engine bay without water. Some areas will need to be cleaned with engine detailing brushes. Finally we use engine detailing spray to finish this part of the job. After all the dirt and grime are cleaned off, we then use special waxes for our engine detailing service. This is done since ordinary waxes won't usually take the abuse that the heat your car can dish out delivers. After this part is completed, the engine is dried and the job is done. The next time you consider having your car detailed, consider the engine detailing cost a bargain for what you get. It might be significantly more, but it pays for itself in the long run for all the benefits you get from it. In fact, an engine bay detailing service doesn't cost; it pays. The key to getting the most from your detailing, which includes a good engine detailing is to have a professional do the work for you. Sure, you might be able to do a decent job yourself, but if you think about it, wouldn't you be far prouder of your car--how it looks as well as how it performs--if you pay the money to have it professionally detailed? For this reason, why not call Elkhart Auto Detailing for the finest engine detailing service Elkhart, In? Your friends will notice the difference, and you probably will too. If there really is one part of your life that stands out for others, it's probably how your car looks. Why not lead this part of your life with your strong suit? It's the benefit you get from Elkhart Auto Detailing. Why not call us today for every advantage we can give you?